– Up to 40% off Women’s Boots plus Extra 20% off w/promo code Cyber. Don’t miss the Sears Sale Ad for this week. 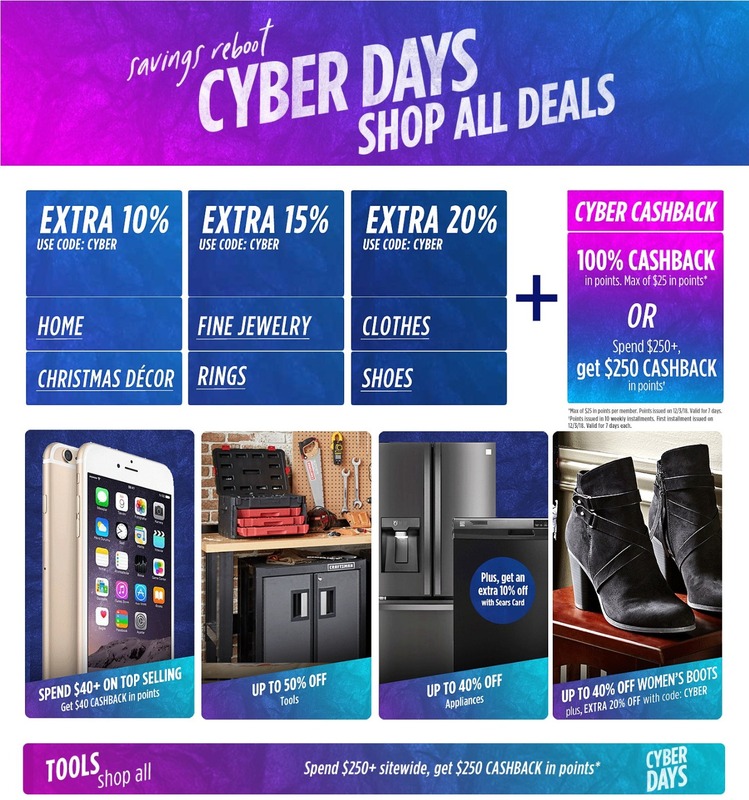 Don’t forget to check this year Sears Cyber Monday deals before heading out to shop.